S100 is planned as a furniture system, flexible and easy to plan. Many smart details convincefor, the interior can be individually chosen from different packages. Drawers, doors or flaps are arranged in the grid and freely combinable. Please contact us, we will be happy to advise you! S100 is the new highlight designed by furniture designer André Schelbach. Planned as a furniture system, S100 is flexible and easy to plan. Many smart details convincefor example the Body features over an embossed trim strip, which can be varnished in the Yomei color assortment or even glass-doorframes in which the glass is fitted without offset.The interior can be individually chosen from different packages. Drawers, doors or flaps are arranged in the grid and freely combinable. There are many additional options: cable management, hidden cable shafts, TV mount or lighting - S100 has an answer for all needs. So you can turn a "simple" hanging element into a writing secretary with built-in USB connectors, wireless Qi-Loading and integrated Lighting. The three different corpus heights (32 cm, 46 cm and 61 cm) in combination with 6 different substructures (base, metal frame in 4 different heights or wall - mounted) offer for every need a fitting furniture. Whether as a sideboard, hanging element, TV-lowboard, secretary or room divider. Only high-quality materials are used. The body is massive Walnut, solid maple or in Pantex. Pantex is a high-quality, exclusive YOMEI-surfacematerial - noble in the look and with a wide range of colors: taupe, white, black or mocha. All Pantex colors are available in matt or high glossy. 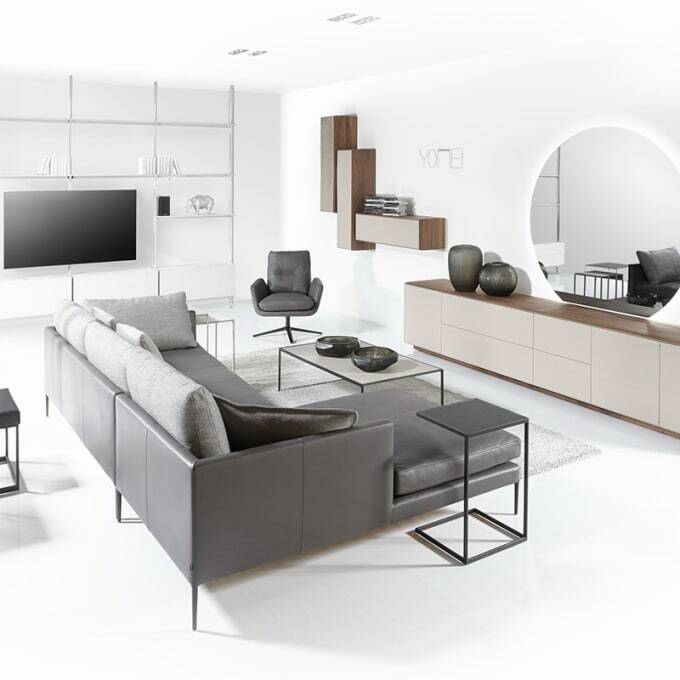 as soon as you see yomei furniture, you will immediately notice something special: fine contours, high quality materials, precise workmanship and intelligent designs that are often only revealed on second glance. yomei stands for functionality in design. the young yomei collection has already received an award for its unique combination of form and functionality. the versatile magic desk earned the coveted red dot design award in 2008. the magic cube (2009) is an impressive multi-functional cabinet with a transformable inner space concealed behind aesthetic doors while the wrap armchair and the sumo sofa provide optimal sitting comfort in quality neck leather. Do you have a question about "S100"? How can we contact you?